With an average weekly online audience of 356,000 , tes.co.uk boasts the UK’s largest online community of education professionals. 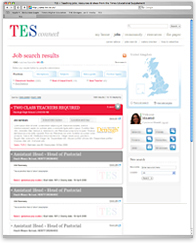 With an average monthly online audience of 3.8 million, tes.co.uk boasts the UK's largest online community of education professionals. 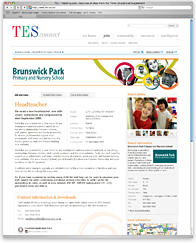 2pm on Monday prior to publication date for advertisements to be set and styled by the TES. 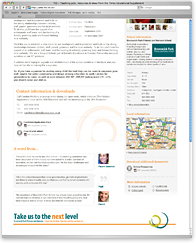 Verbal bookings by 4pm on Monday prior to publication date for advertisements supplied as Quickcut or PDF. To be received by 10am on Tuesday prior to publication date for advertisements supplied as Quickcut or PDF. advertisements due to be published on the Friday of that week. YES Connect and make the most of our weekly online audience of 356,000.